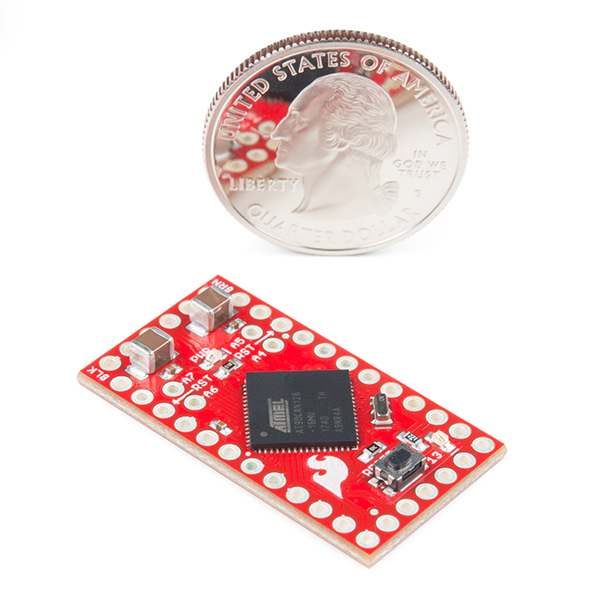 The SparkFun AST-CAN485 Dev Board is based on the Atmel AT90CAN128 processor. The processor runs at 16MHz, has 128kB or Flash, 4kB of SRAM and features a hardware CAN controller. 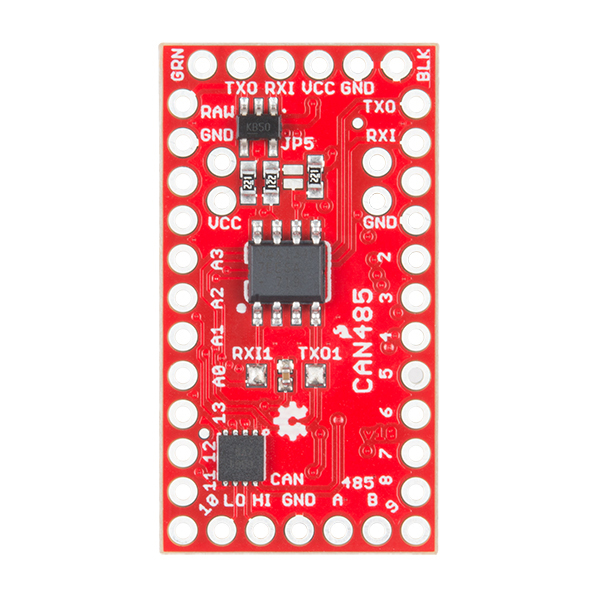 The CAN485 breaks out commonly used communications ports and pin functions including: I2C, SPI, UARTs, eight analog inputs and six interrupt-enabled pins. Additionally, the AST-CAN485 is equipped with an onboard regulator, allowing for an unregulated input voltage to be supplied on the VIN pin to make the allowable input voltage range 7--16V. Please keep in mind, however, that 7--12V is recommended. I can't make external interrupts work. None of pins are responding. Same sketch works on Uno (on pin 2). Any ideas? EDIT: It looks like Arduino functions manipulate wrong bits in wrong registers in attachInterrupt(). Directly setting EICRA and EIMSK registers works and it does support CHANGE interrupts. I was intending to use this for interfacing with a high speed RS485 bus (2Mbps) but it looks like the board can't handle that. The output waveform on the RS485 chip is al wonky. Apart from that, this is a great board! Is it possible to use this board and have it wake on CAN activity? I'm looking for something that can be left connected to a vehicle battery feed, wake up when there is CAN activity and run some code / transmit some CAN messages, then sleep when the vehicle CAN bus goes dormant again. Yes, an accy circuit would be ideal but where I have to package and connect this thing there are only CAN lines and B+/ground. So unless there is a wake on CAN I would not be able to put this in low power mode, hence risking battery drain. This is ALMOST exactly what I need except I REALLY need a micro-usb port for programming? Is there a way to attach a usb port to this? I need the RS485 for its long distance ability. 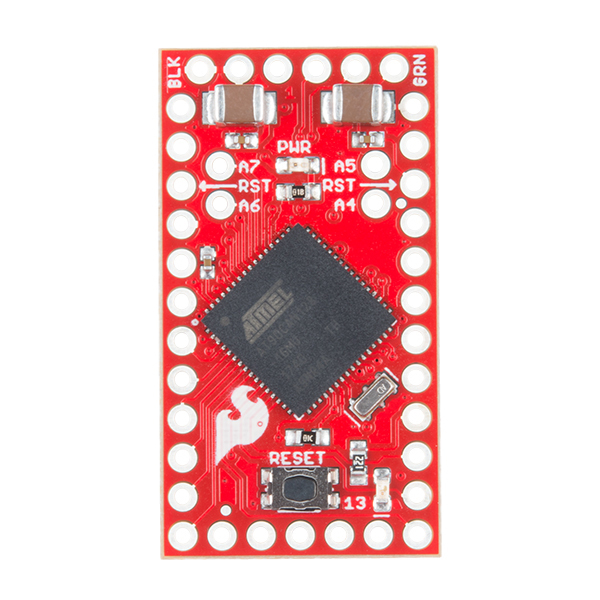 To program it, youâll need a USB to UART Bridge which has a USB micro B connector on it. Link to the AT90CAN128 datasheet is broken. I still try to get this board to read my CAN signals but it seams hard to find a proper reference for the CAN library. 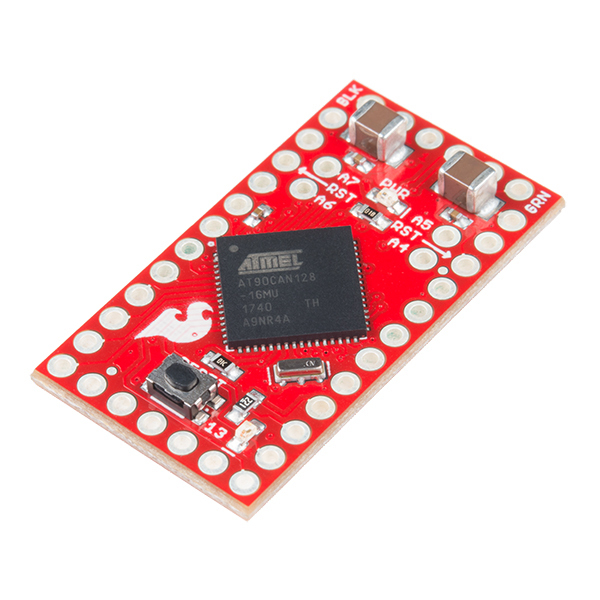 This small board has all I need to complete my "Hack my car" Project. In addition to the CAN Interface it also has a large number of GPIOs and the I2C support I need for interfacing a bluetooh module and a DAB radio. The CAN library is also good, as it supports a number of CAN bus speeds. I have a digital signal that is transmitted via RS485. I needed to transfer this signal over another RS485 channel, but that channel would transmit the RS485 signal then return to floating a short time after the signal was transmitted. So I purchased 2 AST-CAN485 boards and a couple of RS485 transceiver breakout boards. I programmed the AST-CAN485s to receive/send the digital signal via the additional transceivers. I set each board identity via EEPROM. I then wrote a program that would send a byte from one board to another via RS485 and USART at 1megabaud. When all was said and done I created a digital signal transport over RS485 that added 30 microseconds latency. I was shooting for 50 microseconds. This board has done everything I asked of it without complaint. It just works and works well. If I ever need another RS485 device or CAN device this will be a board I reach for to fill that need. Hello. Sorry to hear this! It looks like you received a faulty unit. Please contact our technical assistance team and they will be happy to help you with this.